This project aims at establishing communication between people and an artificial environment. An investigation of autonomy and control is a part of this interaction. The swarm of robots is established and remodelled in real time. Entities interact both with themselves and people entering the zone. Sensors are detecting every change in the ecosystem and trigger a constant loop of unexpected transformations. The visibility of the rules of the swarm is enhanced by an embedded lighting system which adds a layer of overall expression. 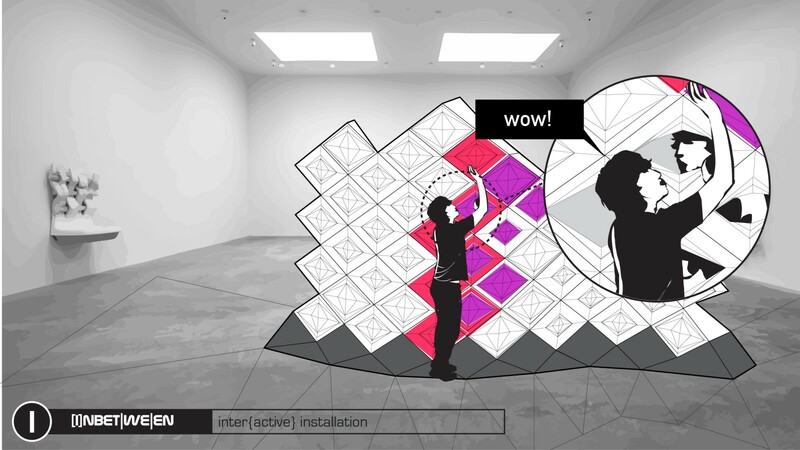 The Living Room is an artistic installation to redefine the relationship between humans and their surroundings. It intends to overthrow the conventional forms of usage and how we perceive and treat our surroundings in order for the user to rethink, maybe even re-calibrate his perception and interaction towards his surroundings. By morphing, actuating it's surfaces the object performs certain gestures which can be linked to certain emotions or even functions. 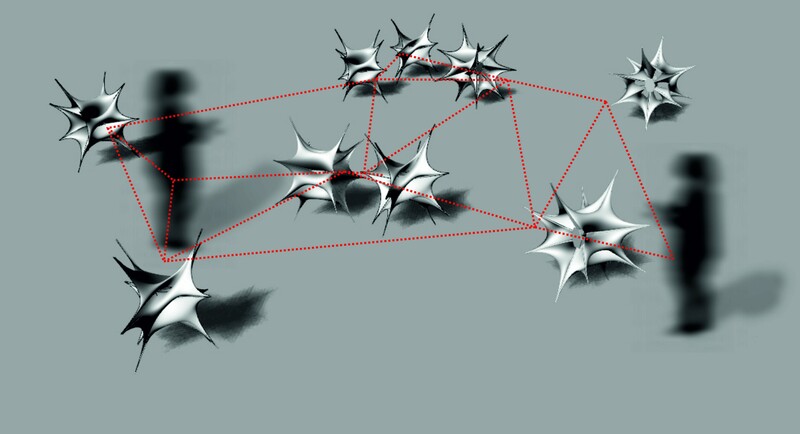 Users can imagine various functionalities of the emergent shapes. SYNERGETIC SOUND is a facilitator for interactivity between different visitors by detecting their movements and interpreting it through audio output. This installation serves as a means to investigate how sound can enhance a space by allowing visitors to control the virtual environment through the manipulation of tones in order to create varying affects within the space and its effects on the collective. 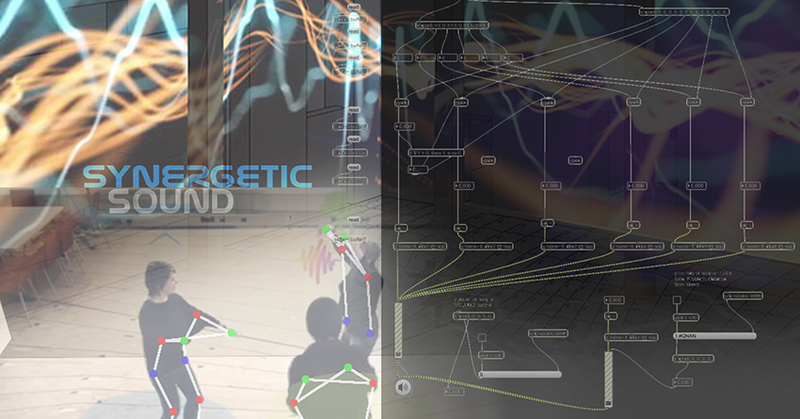 Reflectego aims to discuss the balance of physical and imagery components in our brain’s construction of reality. The view and experience that we hold of space and our position in it consist of both actual objects and altered descriptions that we interpret to represent reality. By visually distorting the space in our surrounding and by unexpected repositioning of the self in relation to the environment through movement, awareness can be created of the proprioceptive determination and our self-perception in the twilight of the physical and virtual world. Our design derives from a kaleidoscopic composition of facetted mirrors. In a Kaleidoscope the constructed perceived image consists of actual physical objects and a multiplicity of reflections of this. Through small movements of the objects the constructed images change dramatically due to the amplification of change by visual multiplication of the movement. 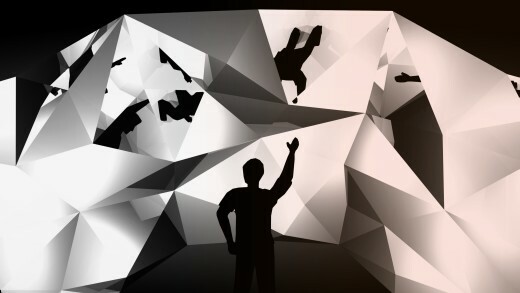 In our project the user will become the physical object inside a kaleidoscope in which he sees his image scattered and recomposed as a result of his behavior. The structure consists of a suspended facetted mirror-surface. It hovers and maneuvers above and as a reply to user behavior. The structure folds, flips and expands to create dynamic compositions of the real world objects by alternating angles of reflection. The user interacts with the structure as a piece of the puzzle whilst recomposing the total image. A collective visual bodily language between agents (users and systems), which combines moment-based interactions of which the individual resonance is virtualised into a the main body.